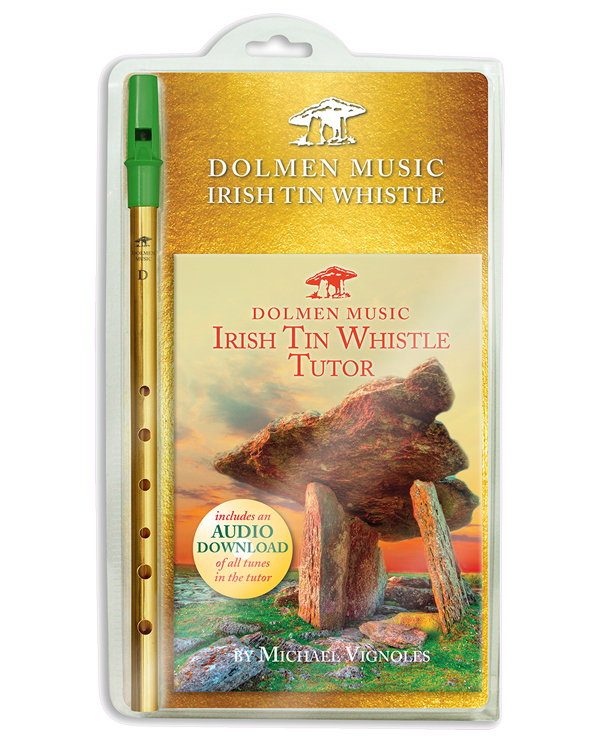 Dolmen Music's Audio Tin Whistle Pack. Pack includes a quality brass tin whistle, tin whistle tutor in book and audio download. The Dolmen Tin Whistle Tutor is designed for the complete beginner and will take you step by step through your first notes to playing you first tunes. The Wild Rover, The Black Velvet Band, The Irish Rover and some Irish reels, jigs and polkas you can play at traditional Irish sessions. 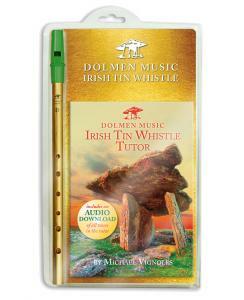 The Dolmen Irish Tin Whistle is a quality brass tin whistle in the key of D and has a clear, sweet tone. Follow Michael’s clear, uncomplicated instructions to get the best from your instrument.